Mother, Father And Daughters Are Painting Eggs. Happy Family Are Preparing For Easter. Cute Little Children Girls Wearing Bunny Ears. Foto Royalty Free, Gravuras, Imagens E Banco De Fotografias. Image 95718156. 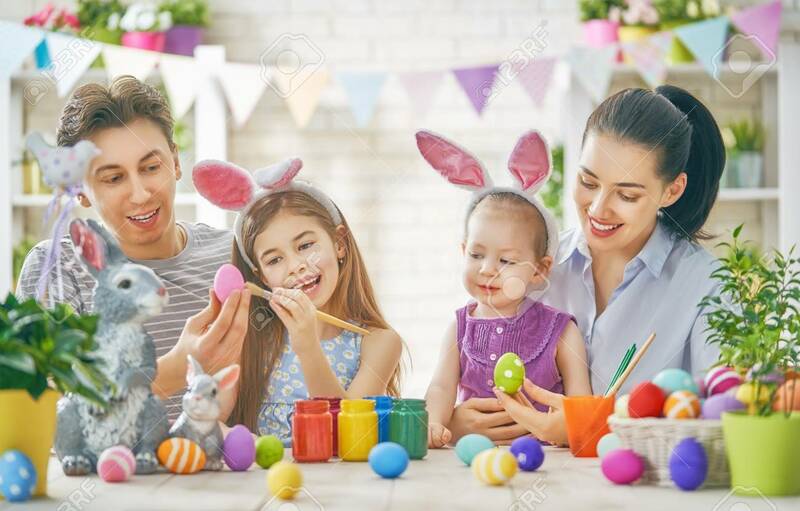 Banco de Imagens - Mother, father and daughters are painting eggs. Happy family are preparing for Easter. Cute little children girls wearing bunny ears.